Today I’m delighted to welcome Tudor buff and Anne Boleyn expert Claire Ridgway. 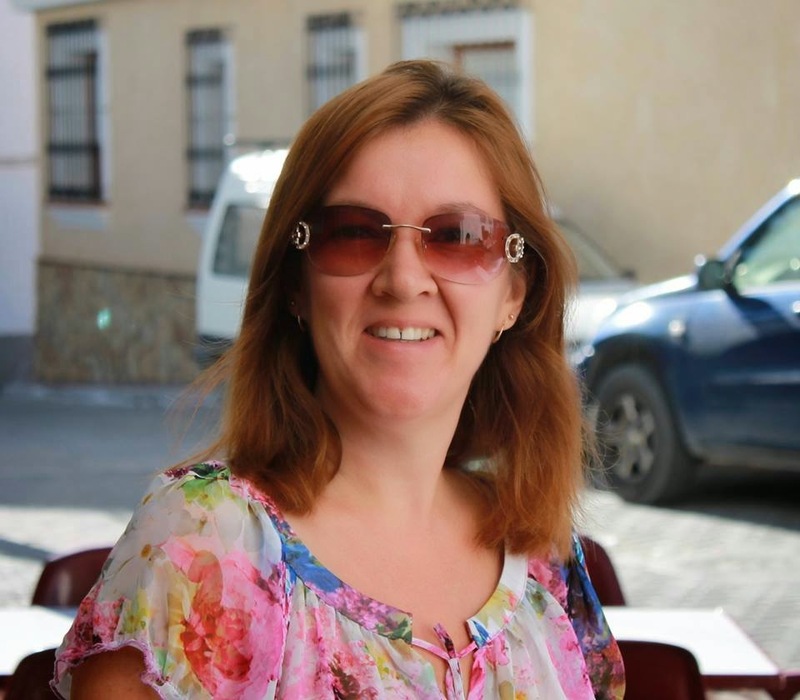 A British freelancer now settled in Spain with her husband and children, Claire started her wonderful website after a vivid dream in which she witnessed Anne’s execution. Since then she has meticulously researched her life, created two websites – The Anne Boleyn Files and The Elizabeth Files -, penned several books, and even created the Tudor Society for all fans, authors, and experts of the period. She loves debunking myths about the Boleyn, chatting about history, watching Strictly Come Dancing, and listening to all kinds of music. I’d love to time travel to the Tudor era just to see what life was really like, but I’d want to be able to come back again as I’m sure I’d end up being burned as a heretic or getting into some kind of trouble. It would be wonderful, though, to see people I’ve researched and to experience all the sights and smells of Tudor life. Anne Boleyn, George Boleyn and Jesus. Anne and George with their charm and quick wits would make perfect dinner guests and, like me, they had a strong faith so I think we’d all enjoy chatting to Jesus. The Bible – I don’t read it enough but it’s a guide book to life really. The Life and Death of Anne Boleyn by Eric Ives – Ives did a wonderful job at rehabilitating Anne Boleyn and changing many people’s views of her. The perfect antidote to some of the fictional portrayals of her. To Kill a Mockingbird by Harper Lee – A classic! Oh dear, I don’t have one. I’m not a follower of fashion, I just wear what’s comfortable and what makes me feel good. Working from home allows me to wear what I like so shorts and vest tops in the summer and jeans and jumpers in the winter. My weekly vices at the moment are Strictly Come Dancing and Downton Abbey, but that’s all I watch on TV as I prefer to watch DVDs. At the moment I’m revisiting two box sets: Lost and Luther. My two theme songs are “Don’t Stop Believing” by Journey and “Gotta Get Thru This” by Daniel Bedingfield – they help! Otherwise I don’t really have a soundtrack. When I’m running I listen to up tempo music, which ranges from 80s pop to will-i-am, but in general I listen to anything from classical music to soft rock to Linkin Park. The best holiday I’ve ever had was summer 2013 when we took our kids to Disney and Universal in Orlando. We had a magical time. Otherwise, we love going back home to the UK (we live in Spain) now and I love Italy – culture, history, pizza, pasta, ice cream and lovely people. In my general day-to-day life my faith is what inspires me. We live in a beautiful mountain village with amazing scenery and I’m blown away on a daily basis by the beauty of God’s creation. In a work sense, with my reading, research and writing, I would have to say that it’s the myths and perceptions that are so prevalent that drive me to share what the primary sources say. To visit Australia. I so want to see Uluru, the Great Barrier Reef, Sydney and the Blue Mountains. I have two tattoos. An English rose by my belly button to remind me of England and Stitch (from Lilo and Stitch) on a hibiscus flower on my right shoulder. Lilo and Stitch is my favourite Disney movie and its theme really resonated with me – “Ohana means family. Family means nobody gets left behind or forgotten.” Even people who know me well are surprised that I have tattoos, they’re not really “me”, it’s me being a rebel! Go and visit The Anne Boleyn Files now! You can also keep up with Claire on Facebook and Twitter, and buy her books on Amazon.